Fill your gift basket for a friend or family member in a nursing home with useful and thoughtful gifts. 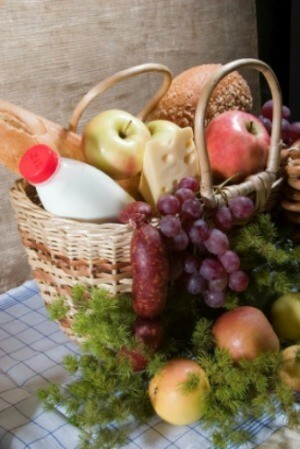 This is a guide about nursing home gift basket ideas. Our Ladies' Auxiliary likes to make little baskets for the Veterans in our nursing homes and have run out of ideas for items. Most of the Vets cannot have candy and lots are in bed most of the time. I am looking for suggestions of small things for them, no sharp objects like pins allowed. All ideas are welcome. Thanks. My mom is in a nursing home and they love magazines, books, newspapers and videos. I am taking a bunch of costume jewelry to the ladies. I also take my dogs to visit them and they love that more than anything. She is in a brain unit (dementia, Alzheimer's) and my dogs have gotten some of them that never speak to talk to us. How about arranging for some animal visits. My son takes his guitar and plays music for them. It isn't about things you can give them but things they might enjoy. And take a camera and share pictures on your next visit. We do Christmas baskets every year for our nursing homes. We put lotions, combs, socks, toothbrushes/paste, fruit, etc. I am a hospital nurse who worked in a nursing home for a year. I noticed that the residents love getting gifts, but what most of them crave is someone to spend time with them. Visitors are what they cherish. The adopt a grandparent program is phenomenal. They also rarely get outside to enjoy the fresh air. Of course, pending nursing home staff approval. Also, in addition to Christmas gifts and visits, these residents need to be remembered throughout the year. Elderly people have lived some very interesting lives, and each one is different. They are living history books, and need to be cherished. I was also a nurse. This is a great answer. Don't just think of folks at holidays. There are many people who NEVER get a visitor.